Urban Metabolism is a framework for modeling complex urban systems’ flows – water, energy, food, people, et cetera – as if the city were an ecosystem. It can be used to analyze how urban areas function with regard to resource use and the underlying infrastructures, and the relationship between human activities and the (natural) environment. What is more, it can be used to shape the urban environment in a more sustainable way. The metaphor of a city, or living environment, as a living organism with a collective urban metabolism can be traced back for more than 150 years. Though metabolism was at first used to describe living organisms, pioneering ecologist Arthur Tansley expanded the term in 1935 to encompass the material and energetic streams from the inorganic construction of settlements, and introduced the Urban Metabolism. 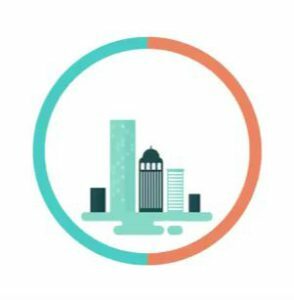 This short video produced by partners of the UN Environment-led Global Initiative for Resource Efficient Cities, explains the concept of ‘urban metabolism’ and how it can be useful to local government. Urban metabolism studies help cities and city regions assess current resource use and identify pathways for improvement. The same principles are outlined in the 2013 International Resource Panel report on city level decoupling.